In an effort to compete with Samsung’s own dual-screen edged smartphone, the Galaxy Note Edge, LG decided to show off its latest prototype, though it bears a few significant differences. 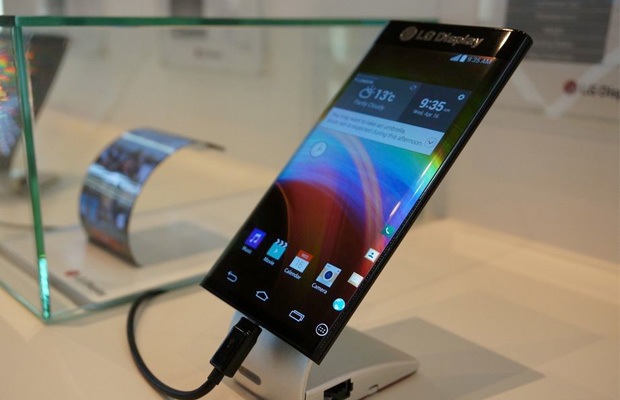 The LG Display features a bendable 6-inch HD plastic OLED screen with curved edges that serve as secondary screens to swipe and tap through. Functionality works similar to the Note Edge, though the ability to perform actions on each side is what differentiates it from the crowd. The company revealed the device in a “private showroom” at CES 2015 to potential clients and partners. While nothing more has been shared other than its mediocre 720 resolution, the LG Display could serve numerous uses like offering a faster alternative to control music playback and viewing notifications quickly. LG says the prototype is ready for mass production, which could indicate a possible release sometime this year, though nothing has been confirmed.